Chambers Car Care are a reputable garage in Blyth Northumberland. 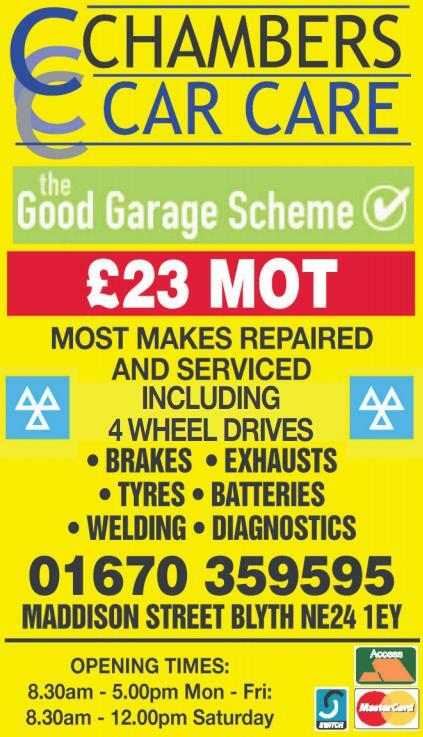 We service, MOT and repair all types of vehicles including cars, vans etc. We also offer a wide range of diagnostics for all makes and models. We would encourage you to call us as we will never be beaten on price.